In one of our previous Blogs, we had explained why e-commerce adoption is crucial for manufacturers. 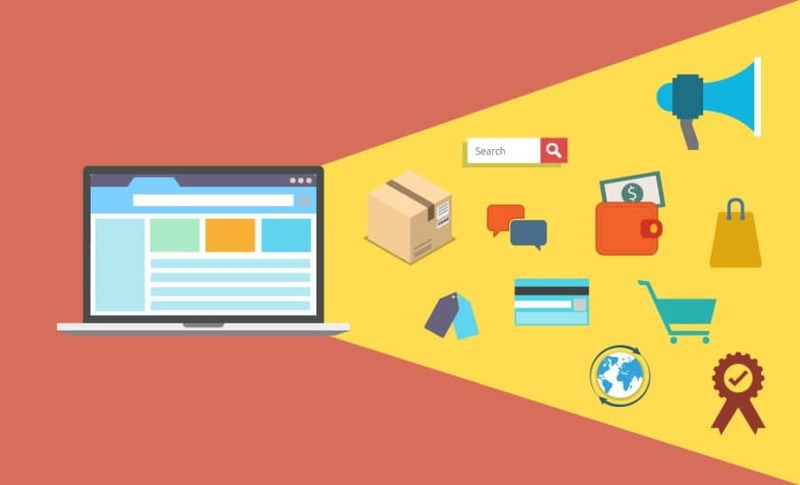 The blog detailed the process of kick-starting an e-commerce marketplace via e-commerce vendors, integrating the platform with an ERP software and its immense benefits to manufacturers. In this article, we will explain why a company website is equally important and how does it act as a primary sales point for manufacturers. Many manufacturers maintain a website because everyone has it, or it is a norm. Most websites sit on primitive web-technology, overloaded with content, lack the necessary visual appeal and buying experience for its audiences making it uninviting for audiences/prospect customers. Why should a manufacturer have a compelling company website? In this digital-era, customers in both B2B and B2C segments prefer to buy goods from both, marketplace (e-commerce sites) and direct (company websites). 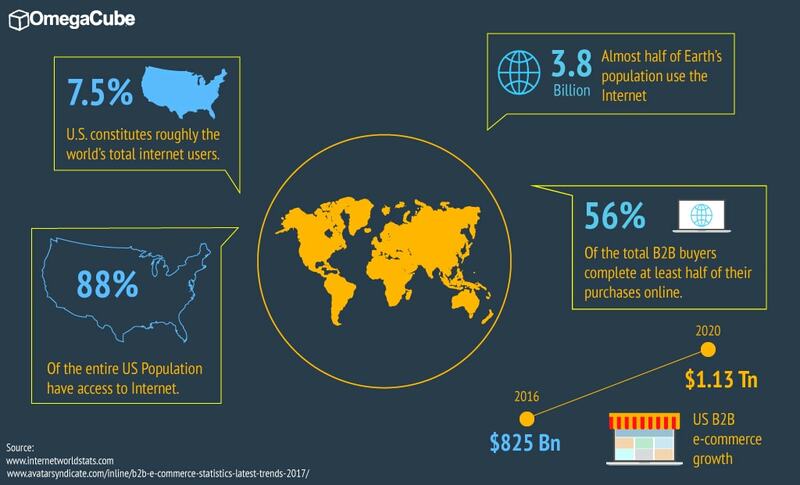 While e-commerce sites open up the business market for manufacturers and provide increased visibility, the downside is they usually have to face increased competition from peers, pricing/discount wars, thereby reducing their profit margin and guarantee of consistent sales. Having a well-planned, well-built company website that provides a good buying experience to customers and ranks high on company branding, SEO, user experience and content will surely attract prospects to your site. Consider the website as a modern-day sales person who is smartly dressed, courteously greets his customers with a smile and asks what they need before pointing to the right product and its specifics. What’s more? It is open to your customers 24/7 and 365 days. The first place a prospect or a customer visits to research and buy products is the company’s website followed by e-commerce marketplaces. Customers want to read about the product, the company, its reputation, customer-feedback, product pricing before deciding to buy the right product. And for this, they find the company website an ideal place. With increased smartphone penetration, this phenomenon has increased manifold and has become the new normal in both B2B and B2C segments. Coupled with good website aesthetics, a website should offer a seamless buying experience to customers. Users easily find the products they need – through easy search options and neatly categorized product sections/catalogs. The website should be a ready-reckoner of information for the customer at all times. Evaluate your products – through crisp product content, accurate pricing details and product images. These should be updated at all times to ensure latest information is available to the customer. With this, your customers wouldn’t go anywhere else, but to your website only. And send you a RFQ or place an order on your website – through strategically placed call-to-action buttons leading to neatly arranged online order forms. Decision making can happen at any stage of purchase. Therefore, strategically placed call to action buttons are absolutely vital. All of this, done in a seamless flow without the user having to fret about finding missing information or wondering what to do next/where to go. Now imagine what this enormous platform has in store for you. Having a good website opens up the entire global market for you. With good SEO practices, your visibility increases manifold attracting prospects from across the globe. Brands like Apple, Google, Harley Davidson, Pepsi, Coca Cola, Nike etc. not only created magic with their products but also with their company branding. Their powerful branding and marketing strategy ensured that these brands are on everyone’s lips at all times. Even when they do not know what their latest products are. Customers associate themselves to the brand first and then to the products and the business. A website is the perfect platform to exhibit your brand and what you stand for. With a well-thought, well-designed logo, subtle colors, and the right message, you can leave an impression in the minds of the customer. Apart from that, well cataloged products, crisp product descriptions, up-to-date pricing, feedback/rating etc. gives a sense of trust and company’s expertise to customers. After all, you just have a little over 3 seconds to capture the attention of a user. So, make the most of it with your website. You can advertise your products through paid digital advertisements and on Social Media. Your website can be linked to your up-to-date social media accounts (LinkedIn, Facebook, Instagram, Pinterest, Twitter) for larger reach and enhanced brand recognition. All this at a negligible cost. With modern web and cloud technology, you can easily integrate the sales order and order management process with your ERP software. The integration ensures that your inventory is up to date, order and shipping status are automatically updated, thereby ensuring a timely delivery to the customer and streamlined production for your business. The cost of setting up a website with the help of a seasoned website professional is a fraction of what you will gain in the long-run. Setting up a domain name costs as less as $10/year that has to be renewed on a year-to-year basis. There are many Content Management Systems, the famous one being WordPress. Their business plans start from approximately $25 a month and lets you choose a suitable WordPress theme for your website. The other costs include hiring a developer who will help you design the website, set it up on your web server and make it operational. The ROI would be way more than you can anticipate if your website is designed right for your customers. Building a website has a certain science to it. Following the basics and with the help of a well-experienced developer can help you build a compelling website to suit your requirements. This holds true for both, a new website and an existing website that needs an upgrade. As mentioned earlier, you need to consider your website as a digital sales person who will do the sales for you and give your customers a nice buying experience. Remember, going digital is the only way ahead. Lots of thoughtful content in this post. Most web owners looking to grow their customer base can gain learn a lot from this. Thank you so much Saloni! Keep following our blog for more useful insights.